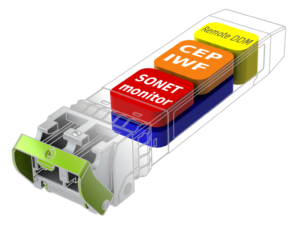 VCoP OC-3/12 (STS Channelized SONET over Packet) Smart SFP™ converts a fully channelized SONET signal to a packet stream using RFC4842 CEP TDM over Packet pseudowire technology. The VCoP Smart SFP™ enables each STS1-SPE, STS3c-SPE or STS12c-SPE to be processed individually to provide a high density Gateway between a SONET/SDH network and Ethernet or MPLS networks. The VCoP OC-3/12 Smart SFP™ provides a multirate OC-12/OC-3 duplex fiber interface and operates at industrial temperature range. 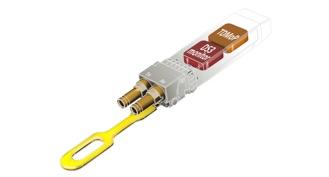 VCoP T3 Smart SFP™ converts a T3 signal (also known as DS3) to a packet stream using Clear Channel TDM over Packet pseudowire technology. It provides a mini coax 75 Ohm T3 interface supporting a cable length of 450 ft. It is designed to operate at industrial temperature range. Designed in conformance with the Small Form Factor Pluggable 20-pin Multi-Source Agreement (MSA), VCoP Smart SFP™ can replace an existing SFP in a router or a switch and transport STS payloads across a packet network. The integration of VCoP into an SFP greatly reduces system and network complexity, and offers lower carbon footprint while generating CAPEX and OPEX savings. 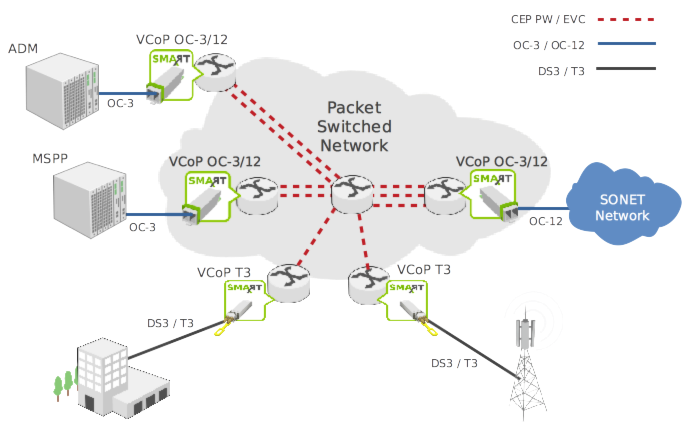 VCoP capabilities are complemented with a Gigabit Ethernet system interface.